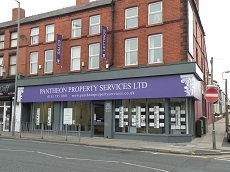 Welcome to Pantheon Property Services. We always strive to provide the very best in service levels to our landlords, tenants and clients and pride ourselves in being one of the largest independent residential letting and management specialists in Liverpool. Pantheon also manage our own extensive portfolio of properties throughout the city and in this sense are unique among other letting agents. As a landlord as well as an agent, we are well equipped to deal with any and all of your property needs – whether you’re a tenant, landlord or investor client – with our own dedicated maintenance team, experienced office staff and well established infrastructure. Please take a look at our available properties and other services we offer and should you see something you would like additional information on, please don’t hesitate to contact us. We trust you will find what you are looking for with us and once again, welcome to Pantheon.